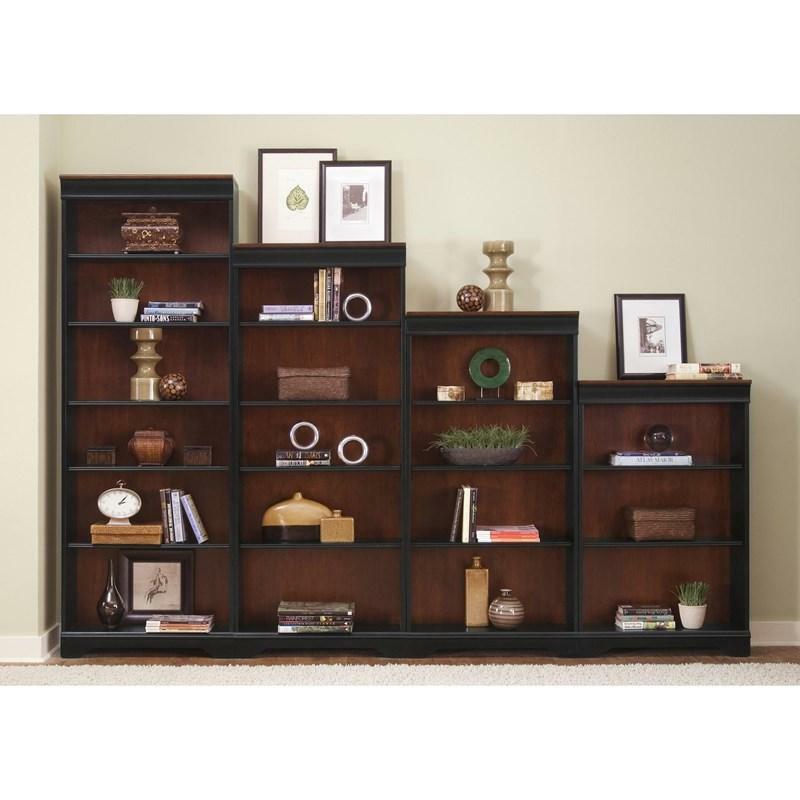 This elegant St. Ives 60" bookcase by Liberty Furniture comes in a beautiful two-tone finish and is made of select poplar solids and cherry veneers. It is adorned with a stylish top and bottom decorative moldings. 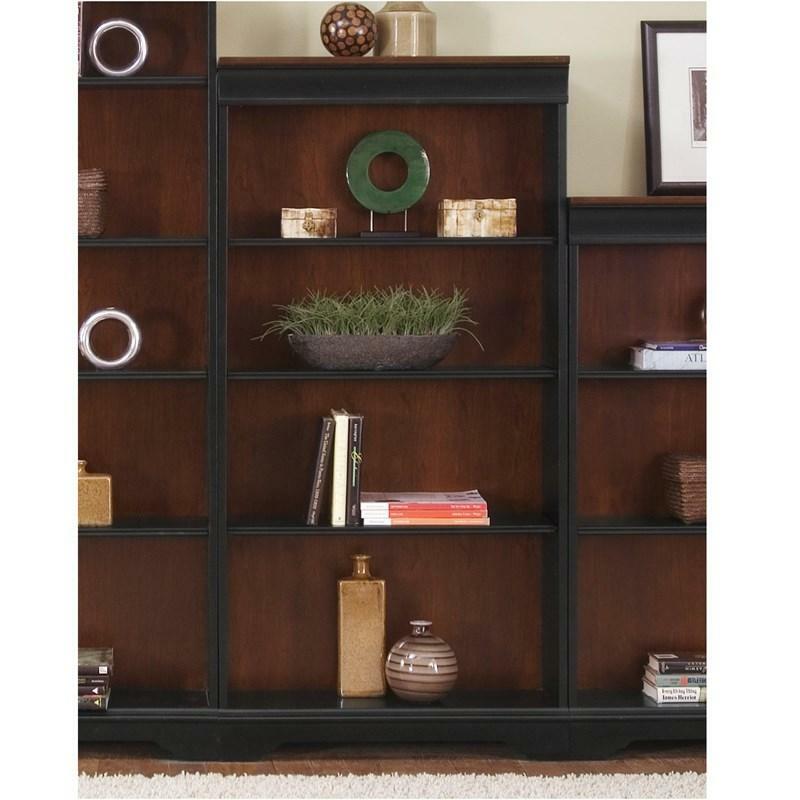 This bookcase can be bunched with other matching bookcases to accommodate your needs. Volume 7.3 cu. ft. / 0.21 cu. m.